This was a pretty fascinating account of the differing objectives of what would be the first air war the world had ever known. 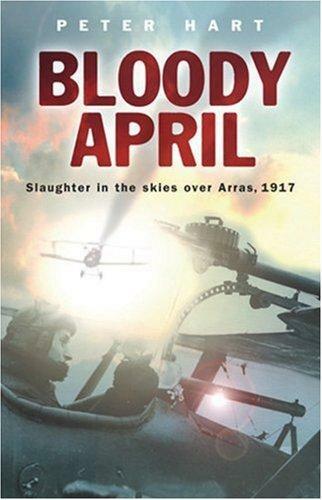 Specifically in this case focusing on the battle being waged in the skies during the Battle of Arras. Much of it in the participants own words. These men were on the absolute bleeding edge of technology making up the rules as they went along. New Steam War Chapter coming soon. 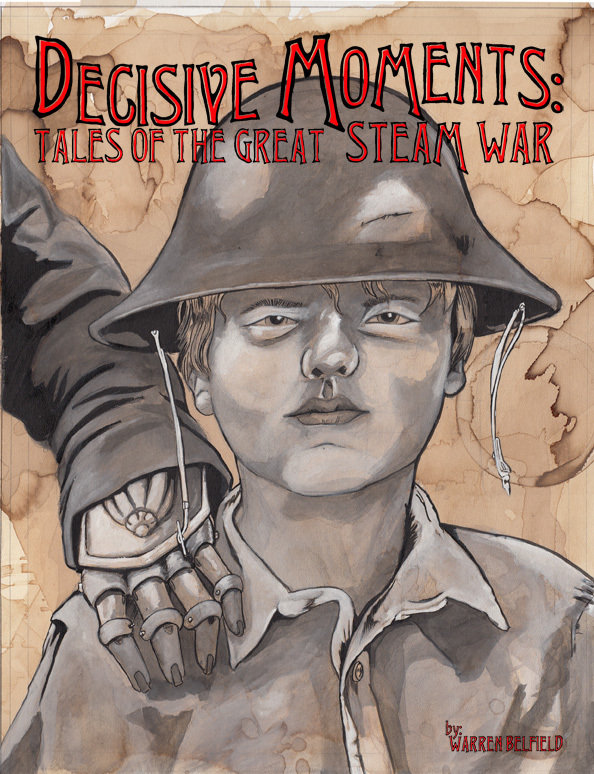 I sat down last week and worked up the cover image for the latest chapter I’ve written for Tales of the Great Steam War. Which will continue to explore the world in which these characters live. And the consequence of the war they fight. For this one I decided I wanted to do something in a more Propaganda Poster style. And since this chapter will focus on the fate of the Prussian Sniper introduced at the end of Chapter One I started by researching images of German posters. 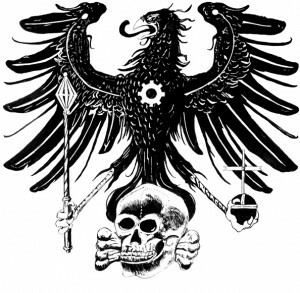 With that in mind and some MORE research, I landed on the idea of using the Prussian Eagle and the Totenkompf/Death’s Head badge. At the relative time this story is set in the Totenkompf had not yet been co-opted by the Nazis and was still thought of as the unit insignia of the Death’s Head Hussar. A cavalry regiment dating back to I think the Napoleonic era. So with a head full of research, plenty of thumbnails and some reference images. I sat down and drew this ink drawing. Then added the drawing to the type I had done up in the cpu. Did some colors and added some texturing/aging. This is where it was when I first posted it for critique over at the illopond. After a really helpful round of critiques both online and with folks I know here locally. I did a handful of minor quick changes. And landed on this, which is where I may sign off on this one. Although as always feedback is most welcome. Let me have it! Guess what debuted last weekend at Wondercon? That’s right folks. 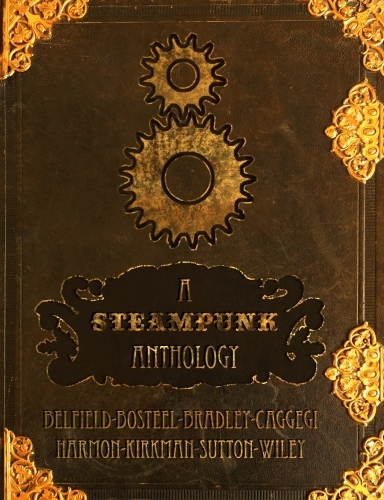 While this blog post is a bit overdue, you can now procure your very own copy of this for your shelf at Indy Planet. 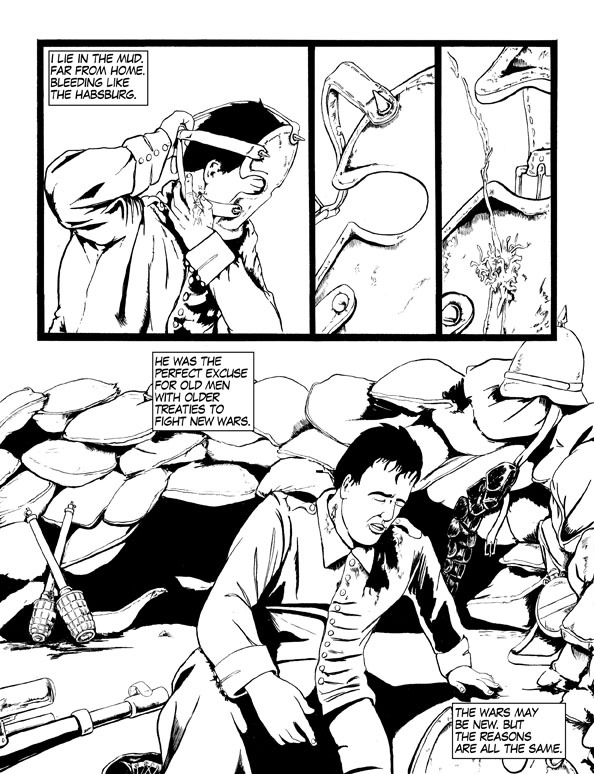 If you’re keeping score at home I’ve already started the groundwork to continue on with more Tales of the Great Steam War, now that this story is in the can. 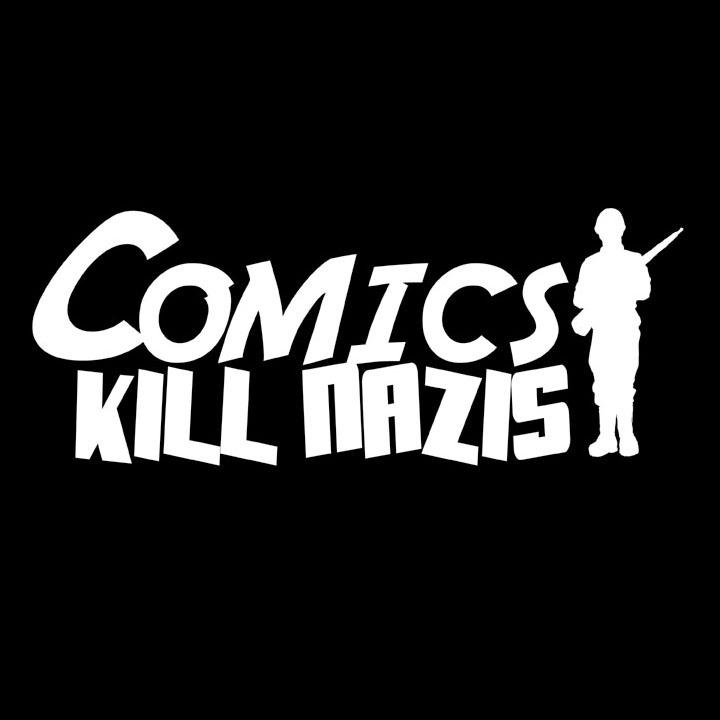 A trailer made for the Anthology. For the anthology I’ve been working on, each contributor was to produce a cover splash image for their story, as well as an 8 page comics story. This is what I came up with for the cover of my section of the book. 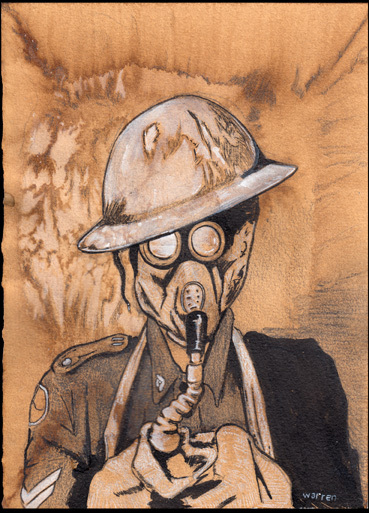 The drawing is done in coffee, ink, and gouache on illo board.